'Explorers of occult mysteries and the edges of consciousness change the way we view not only the nature of reality, but also our deepest sense of self. Insightful author Gary Lachman presents punchy, enlightening, and intriguing biographies of some of the most influential esoteric luminaries in recent history. 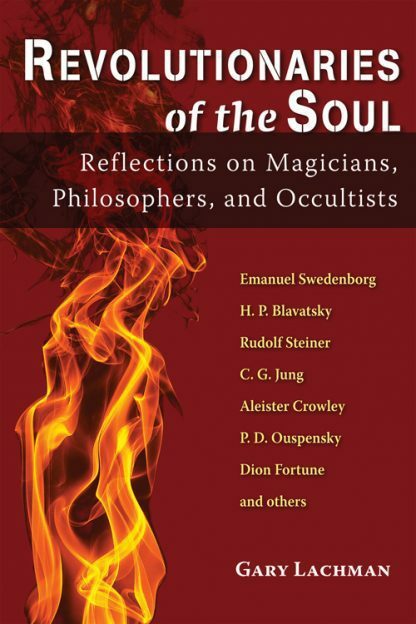 His 16 subjects include Swedish mystical scientist Emanuel Swedenborg; H. P. Blavatsky, Russian cofounder of the Theosophical Society; Austrian philosopher Rudolf Steiner, who inspired the Waldorf School of education; Swiss visionary C. G. Jung, founder of depth psychology; notorious English ceremonial magician Aleister Crowley; Russian esotericist P. D. Ouspensky, explicator of Gurdjieff�s early works; and British psychic artist Dion Fortune, who was influential in the modern revival of magical arts. Gary Lachman is the author of more than a dozen books on the meeting ground between consciousness, culture, and the western esoteric tradition. He is a regular contributor to several journals in the US and UK and he regularly lectures on his work in the US, UK, and Europe. He has appeared on many television and radio programs and in documentaries and is Adjunct Professor in the Evolution on Consciousness at the California Institute of Integral Studies. His work has been translated into a dozen languages. In a previous life he was a founding member of the rock group Blondie and in 2006 was inducted into the Rock and Roll Hall of Fame. A native of New Jersey, since 1996 he has lived in London, England.